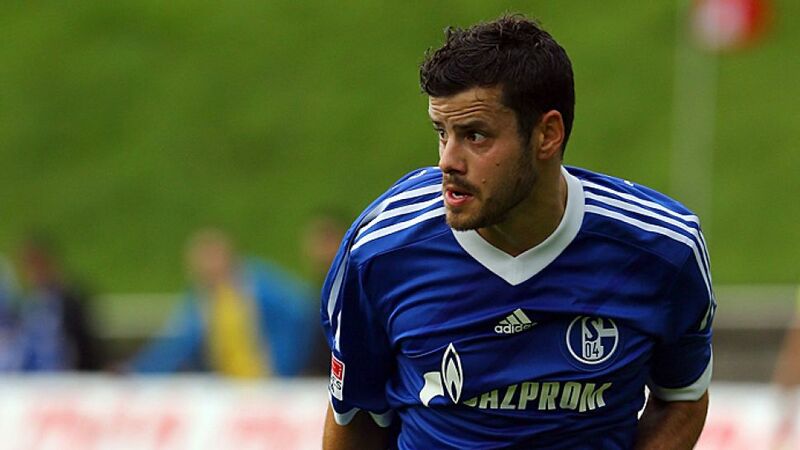 A member of Switzerland's U-17 European Championship-winning team in 2002, Tranquillo Barnetta was 18 when he swapped hometown club St. Gallen in Switzerland for Germany, the Bundesliga and Bayer 04 Leverkusen in January 2004. The first thing his new employers did was farm him out to Hannover 96 on a loan spell, but his time in Lower Saxony was marred by injury problems and he only made a handful of first-team appearances there. By March of the following year, the young midfield talent was ready to stake his claim for a first-team place with Die Werkself. After making the breakthrough in 2005/06, Barnetta went on to enjoy several seasons as a regular starter at Leverkusen, his raids down the left flank an integral part of the attacking strategy of a team more often than not in the mix for a place in Europe. In early 2011, injury struck again and he suffered an inner meniscus tear in his right knee in a friendly, leaving him sidelined for much of the run-in to a campaign that saw Bayer finish second behind Borussia Dortmund in the title race. Barnetta's woes were compounded ahead of the start of the 2011/12 season when the injury flared up again, requiring further surgery to the damaged cartilage. It was not until March 2012 before he was able to play again, and come the end of the season he had managed just seven Bundesliga appearances, and only one of those over the full 90 minutes. Barnetta subsequently announced he would not be renewing his expiring contract, and would be leaving Leverkusen after eight years at the club. At the start of July he linked up with Schalke 04 on a three-year contract, looking to make a fresh - and fully-fit - start with the Royal Blues. While remaining largely injury free, which was already a satisfactory achievement, Barnetta was unable to hold down a regular berth in the Royal Blues' side and, when Eintracht Frankfurt came calling in August 2013, it was the chance of a further new beginning. With the Eagles, he got even more of a regular game, gathering UEFA Europa League experience in the process while getting the much-needed continuity in his game.